I’m so sorry you never got to experience nature growing up. You see, the fact is parents have to choose between technology and being outside. Clearly, we chose technology. It is the same grueling decision that parents make when they have to decide whether they want their children to learn reading or math. There can only be one! It is remarkable that, despite Computing being introduced in the statutory National curriculum Programmes of Study from Year One in primary schools from 2014, electricity and electrical safety is not included until year 4. Of even more concern is that when electricity is introduced it doesn’t refer to switching or digital electronics and it encourages children to be taught that all materials may divided into two discrete categories ‘conductors’ and ‘insulators’. This is bad science, it is a false dichotomy and in practical terms it is also a very dangerous assumption to make. Children should be taught about electricity much better and earlier. Every material can conduct electricity under some conditions. While pure water is a poor conductor, dirty water can be a very good one. Even air conducts electricity at times as can be seen in lightening and the insulation qualities of rubber and plastics around electrical cables may be reduced through age and damp conditions. The seriousness of an electric shock depends on the size of the voltage, which parts of your body are involved, how damp you are, and the length of time the current is flowing through you. From an electrical safety point of view, the bathroom is probably the most dangerous room in the home. There are special regulations limiting the fitting of electric sockets in bathrooms and electrical devices such as hairdryers, heaters or radios should never be used. Another major site of accidents is in the garden where electrical equipment should never be used in wet or damp conditions. Continued violence is widely recognized as one of the most significant threats to sustainability, and this has to be stopped. The UN lunched a consortium for Peace education network in 2013, and this network should become more closely associated with ESD. There is a need to ensure that all children are cared for from birth, and that all children should have access to pre-primary educational support from 3 years of age. But access to a classroom is not enough. Story books provide important foundations for the children’s emergent literacy development and many preschools have none. We therefore recommend the commissioning of a high quality series of ECCE children’s books to be produced for global multi-lingual application that can foster both literacy skills and an early understandings of ESD. Children often influence their families in adopting more sustainable thinking and behaviours and in pre-primary education a curriculum focus on sustainable consumption is therefore appropriate. the creation of cultures of sustainability. ESD and ECCE should be integrated in pre-service and in-service health, community support and teacher education at all levels with explicit reference made to the need to develop greater global awareness, child resilience and disaster risk reduction (DRR), alongside more traditional sustainable development concerns such as sustainable consumption, recycling, energy efficiency etc. The findings of the review strongly supported the perspective adopted by Aber, Lombardi, Klaus and Campion (2013) in their proposal for a new global development goal for the post-2015 agenda. While we consider that the specific targets that they suggest in their proposal could be more ambitious, as an urgent short-term global goal the United Nations should certainly: “Reduce by half the number of children under 5 who fail to reach their developmental potential” (Aber et al, 2013). Given the urgency of creating change new models of funding are required. In the short and medium term there is a need to increase targeted funding. There is a need to embed ESD practices in all ECCE activities and every budget associated with ECCE should therefore have an audited ESD component. Every receiving agency or institution would then be accountable to a national or regional authority with overall responsibility for supporting ESD. 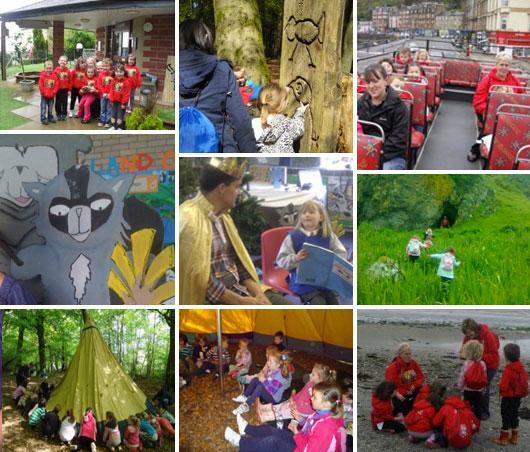 It is essential that such a national authority should have an overview and responsibility that lies outside and across traditional disciplines and ECCE sectors, and that it encourages the development of successful and long lasting multi- and transdisciplinary ESD practices. As an emerging field of practice, ESD in ECCE is also seriously under-researched and under evaluated. This must be remedied in order to build the field on an evidence-base of critique, reflection and creativity. Every budget associated with ESD in ECCE should therefore be awarded with a research component, this could also be administered by the national authority with overall responsibility for ESD. The full report will be available in November following the end of UNESCO ESD World Conference in Nagoya, Japan. 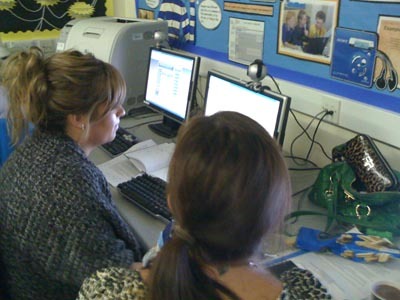 The ICT curriculum in UK schools is set for a radical transformation and is set to be replaced with approaches emphasising the wider development of digital literacy and computer science (See). Some concern has been expressed that girls may be disadvantaged by this. But I don’t believe this is the case at all. As I see it the move is a very positive one that should have been instituted many years ago. My own experience is that girls are at least equally motivated and engaged in electronic and computer engineering when they have the opportunity to develop their skills in the context of developing their own practical priorities and applications. While Terry Freemen was explicit in his concern to avoid engaging in any kind of gender stereotyping in his article, I think this remained sadly evident in his arguments about making the new Computer science curriculum more ‘girl friendly’. In the 1980s I ran a primary school electronics club and to ensure equality of opportunity I ran one lunchtime session for girls and another for boys. 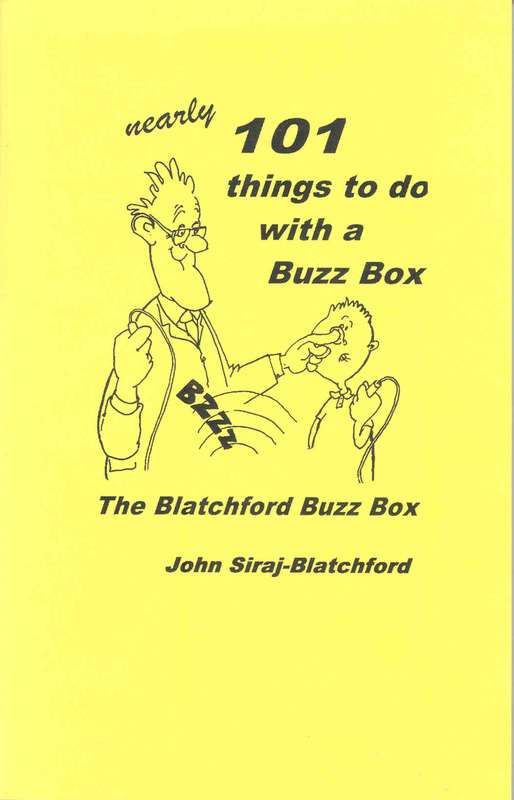 The emphasis was on making circuits that could be used in a variety of ways for different purposes and it was in the context of this work that the Blatchford Buzz Box was first developed. 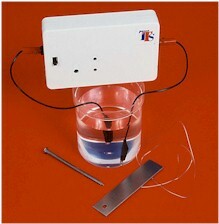 At the time it was well received by reviewers including CLEAPSS, and it was marketed for a time with a supporting text “Nearly 101 things to do with a Buzz Box” by TTS. Despite the fact that it provided an alternative to approaches that teach children all sorts of false (and potentially very dangerous) ideas about electricity (e.g. that objects can be simply divided between things that conduct and those that don’t), it never really caught the imagination of teachers who were at that time struggling to deliver a heavily overloaded national curriculum. But the underlying rationale of the Buzz Box initiative was to support children’s emerging understandings of electricity and the text outlined what I believe is still a fairly novel and effective approach that combined the best available heuristic models that are based upon analogy ‘object orientation’ and systems approaches. In my foundation stage classroom in the 80s my 4 year olds playfully made astable and bistable electronic circuits and switches for a variety of designing and making activities. This will have set the foundations for a computer science education that for most will have never been followed up. Today I have many more ideas for developing early understandings of domestic electronic and computer architecture as well as the art and craftiness of programming. If anyone would like to see where it takes us in developing good practice I’m open to suggestion for some classroom collaborations. The analysis of the quantitative post-intervention data and test results has now been completed. This analyses shows that intervention group membership had a significant effect on the children’s performance on the Early Number Concepts sub-scale of the BAS II and on the Bryant & Bradley test of phonological awareness. There were no significant differences in the effects of the intervention on boys and girls. The data analysis continues and April 27th 2012 has been set as a provisional date for a project conference in Swansea and the publication of the final project report. Given the evident success of the intervention the team will now be seeking funding support to create a pack of materials that may be distributed to support other preschools in encouraging the effective application of ICTs in the home learning environment. ‘Sustained Shared Thinking’ – why is that so important? Sustained Shared Thinking (SST) was first identified in research associated with the Effective Provision of Pre-School Education (EPPE) project in 1992. The research showed that it was a form of playful interaction closely associated with effective early years practice. A good deal has now been written about the subject but as they say, a picture is worth a thousand words and a video is probably worth a million – so this is what SST looks like in practice! Apologies for the slightly poor quality – I think the video compensates for that in terms of the qualityof the pedagogy demonstrated in this High Scope video. In practice, SST may also be considered, more obviously to be about simply talking with children, and it may be considered to be all about supporting them in developing their oral literacy and communication skills. In the early years we know that this has real implications for their cognitive development and research continues to provide evidence of the importance of early cognitive stimulation and the quality of the language learning environment at home and in pre-schools. The EPPE statistical analyses showed that the mother’s education and the economic circumstances of the family were both strong predictors of children’s future success in school. But the study also showed that children benefited substantially when parents supported the child’s early learning in the home. Crucially, the research showed that these educational benefits were sometimes being achieved even in impovershed households where the parents had limited educational achievement themselves. What parents did was more important than…Who they were. Previous US studies associated with Head Start have found that young children perform better in pre-school when their parents are actively involved with their home computer use. But the benefits of parental involvement were not observed among children whose parents were passively involved (e.g., watched the child use the computer). Computers provide a means by which young children may be supported in their manipulation of symbols and representations on the screen allow them to distance themselves from objects and this supports the processes of verbal reflection and abstraction and provides a rich context for sustained shared thinking. A major objective in the development of The Land of Me software was therefore to maximise the software’s potential in these terms. Siraj-Blatchford, I. (2010) ‘Learning in the home and in school: how working class children succeed against the odds’, British Educational Research Journal 36 (3), 463-482. In the early years children use toys to think with and to support their learning. Toys actually provide the support (or ‘props’) that children need to think with as they play. While this may be obvious in the case of wooden blocks or construction kits that children improvise structures with at home, or the ‘pretend’ pots and pans in the home corner of the nursery, this principle applies just as much to the interactive ‘virtual’ toys that children play with on screen. When a child is first born they are able to move their arms and legs and their eyes but it takes time for them to learn the mental functions to control them. When they first apply these basic functions for particular purposes they are already expressing their creativity. For the individual child, this newly discovered (or learnt) action may be considered ‘original’ in the sense that they have never achieved it before. Some people refer to this sort of creativity as creativity with a small ‘c’ to differentiate it from the ‘Creativity’ applied by professional artists and designers whose creative acts are often ‘original’ in a wider cultural context, rather than in terms of the individual’s experience. In the same way, children gain the capability of making sounds and then using words and whole sentences before they develop the capability of using them effectively to achieve particular ends. It seems quite miraculous to us when we observe a child of around 18 months create their first sentence…and this really is creative invention, because right from the start, they don’t just repeat the phrases that they recall others having spoken, they already invent their own. From the beginning they use language to express their wishes, needs and desires, and for their own purposes of problem solving. Research has shown that in the home, and in pre-schools, children’s playful interactions with adults significantly support their development. The kind of interaction that has been identified as most effective in this respect is referred to as ‘sustained shared thinking’ where the adult engages with the child’s interests and understandings and the adult and children communicate meaningfully together to develop a shared outcome, idea, skill or understanding. The best early childhood software provides lots of opportunities for the child to make choices and for the adult to engage with them in discussing these along with the resulting consequences of those choices. In the The Land of Me for example, adults are provided with prompts to guide the discussion in fruitful directions and functions that may be controlled through the adults use of the mouse, while the child is engaged in applying their own control through the space bar and return key. Children continually develop and express their creativity in language skills through their playful interactions with adults and the more capable children around them. They also use dolls and other toys as ‘props’ to improvise playful dialogues when they are alone or engaged in solitary play. The child demonstrates their use of creative imagination when they substitute a toy for a person in their play, but even more significantly perhaps, we should recognise that they do so at every other time they substitute one ‘pretend’ object for another. As Soviet psychologist Lev Vygotsky explained, when the child pretends a stick is an aeroplane, or a wooden block is a truck, the child has developed a significant intellectual skill. The stick that represents the aeroplane becomes a pivot for detaching the meaning and behaviour of an aeroplane from an actual aeroplane. It is in this way that the child first develops the skill to play with the idea of aeroplanes (and other real objects) in their mind. At first children tend to substitute things that resemble (or clearly symbolise) the object of their play. Later the child’s skill and capability in terms of ‘object substitution’ or ‘symbolic manipulation’ develops as they begin to include more abstract symbolisations and this further supports their capability in terms of manipulating ideas in their ‘mind’s eye’. Very significantly in terms of the child’s subsequent educational success, they later begin to manipulate the formal symbol systems afforded by letters, textual language and number conventions. It is also in these interactive contexts that children learn to ‘think about thinking’ and realise that other people sometimes think differently to themselves. In other words they develop (create) their own ‘theories of mind’. To help support these processes of language development and manipulating symbols, our applications provide an iconic vocabulary of images for the children to play with in their imagination. The products of the children’s creations are also presented in text that can be changed by the adult at the request of the child. As these words are edited, animations are directly changed on the screen to provide the adult with a means of demonstrating the power and value of textual language, and to encourage the child’s motivation to develop these skills and their emergent literacy in the future. In an effort to support the development of children’s ‘theory of mind’ we have provided adult prompts that draw attention to the potential moods and ‘feeling states’ of the characters portrayed in the animations. † This insight that was first popularised by Samuel Papert thirty years ago in his book ‘Mindstorms’. ‡ An insight provided by Lev Vygotsky In the early years children use toys to think with and to support their learning. The characteristics of the intervention and control group samples have now been analysed in order to check that the stratified random sampling that was carried out had resulted in two groups being constructed that were not significantly different from each other with respect to vital measures of attainment and child’s characteristics at pre-test. It was found that there were no significant differences between children in the two groups at pre-test on gender distribution or results from the British Ability Scales (BAS II). Analysis of the schools characteristics has also been carried out including the percentage of children receiving free-school means, data from ESTYN reports (NFER progress in Maths and English and SAT performance in English, Maths and Science at level 3 and above), ECERS-E and ECERS-ICT. It was found that there were no significant differences between the schools of the children in the two groups according to these demographics. We appear to have been successful in constructing a statistically valid ‘level playing field’ from which the intervention may be robustly evaluated. The BBC launched their first TV programme for under 5 year olds 60 years ago in 1952:. It was called Watch with Mother. In fact one of my oldest memories is of watching the Flower Pot Men with my Mum. Yet research from the UK, the USA and Australia is now showing that many infants now watch TV almost exclusively on their own. The most significant challenge for early childhood ICT designers is now also often considered to be the challenge of providing the child with independent accessibility, so that they can play (and learn) on their own. Yet the consequences of encouraging such passive viewing that are identified by the research are stark. One major study found that 10% of children who were watching an average of 2.2 hours of television per day at age one, and 3.6 hours at age three had attention problems at age seven. Many more studies show correlations between TV viewing and obesity. Yet it doesn’t have to be like that. Research shows that when parents watch programmes with their children, the children tend to watch less television, and they also gain more from the experience. The same principles apply to other ICT applications in the home, and Made in Me is showing that computer software can be developed specifically for the purpose of adults and children sharing the playful learning experience. The key lessons to be learned from the case of television is in fact transferable to all screen-based media: where there have been problems, they have not been the result of the media or the technology itself, but the way in which it is sometimes being used. See more on this in the Guardian newspaper here. 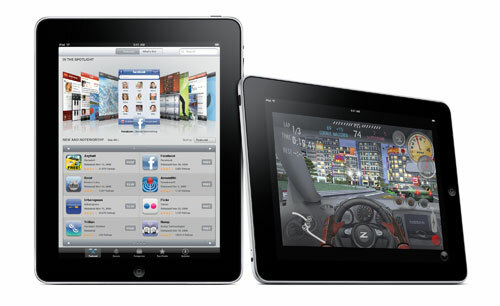 The iPad is just what many early childhood educators have been waiting for. It’s highly portable, user friendly, touch screen operable interface has, like all the best ICT (Information Communication Technology), it has been designed very much with children, and those still in touch with their inner child, in mind. There are already early childhood applications or ‘apps’ available on the iPhone for free or a nominal fee and the Land of Me will soon be one of them. I’m certain we can expect an explosion of new apps designed with early years education in mind. Does the Land of Me Support Learning? A big ‘Thank You’ to all schools that attended the Teachers’ Support Day last Friday. It was a very productive meeting that gave us the opportunity to share with the teachers the project’s progress so far and our future plans. The meeting also introduced a series of suggested activities with ICT in the home environment within the next 9 weeks. Booklets were handed out to teachers who will, in turn, deliver this information to all parents taking part in the study. 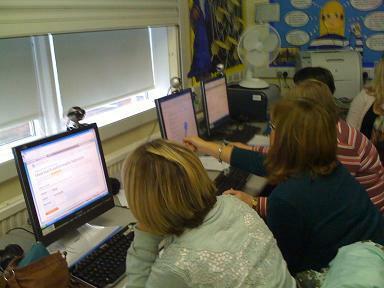 The meeting also briefly introduced teachers to the idea of ‘blogging’ and rss feeds. We look forward to the next meeting on 7 th January where Prof. Iram Siraj-Blatchford will be giving a presentation about the parental role in children’s early years education and development. In addition, we will be introducing the second part of our intervention programme. Archie Coffer is just two years old, and already he’s being nicknamed “the miniature Jamie Oliver.” Along with his father Nick he stars in My Daddy Cooks, a video and recipe blog with an international following.